When the days are long and busy, make an Easy Weeknight Dinner with a Tyson® Frozen Dinner Kit. 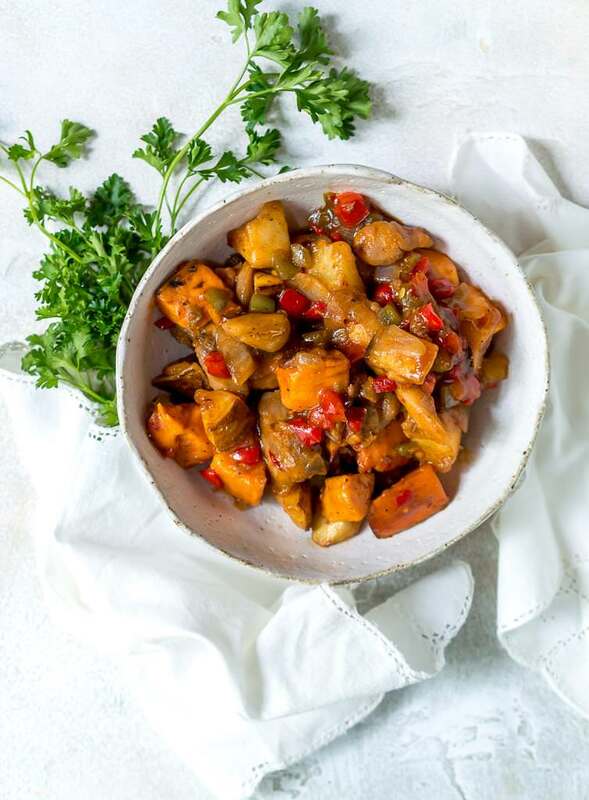 You can have a quick, flavorful, nutritious dinner on the table without any hassle. We are all just trying to do the best for our families and feed them nutritious meals no matter how busy life gets. That is why I am all for convenient meal options. There is no need to spend hours prepping and cooking to have a good sit-down family dinner. Weeknights can be easy and tasty with Tyson® Frozen Dinner Kits. The dinner kits are made with pre-portioned chicken raised without antibiotics. The pre-portioned ingredients are prepped and ready to go, saving you loads of time. Keep it in your freezer until you need it then just 10 minutes of prep and 45 minutes or less of baking . . . dinner is served! 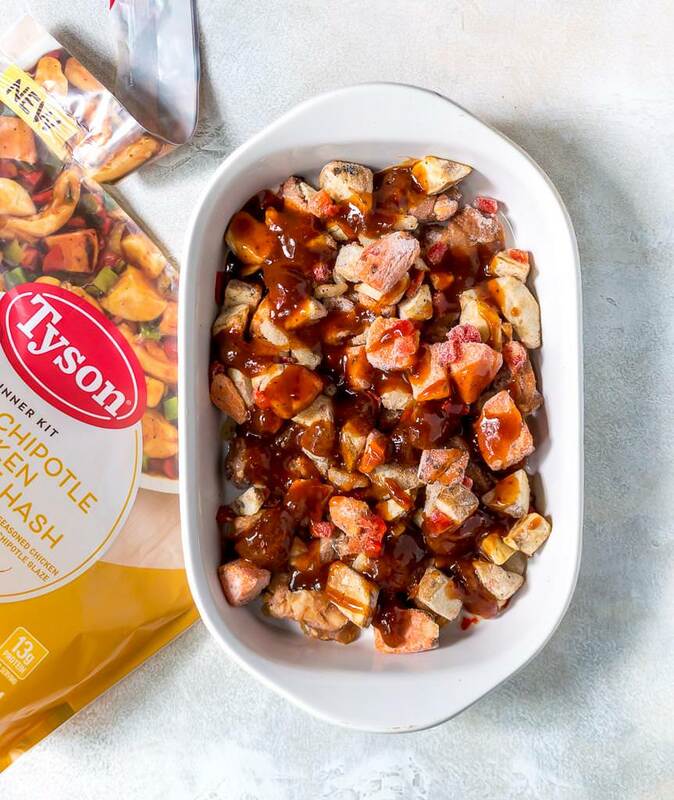 This Tyson® Frozen Dinner Kit – Sweet Chipotle Chicken & Vegetable Hash will be a crowd pleaser! The cause is sweet and mildly smoky from the chipotle. 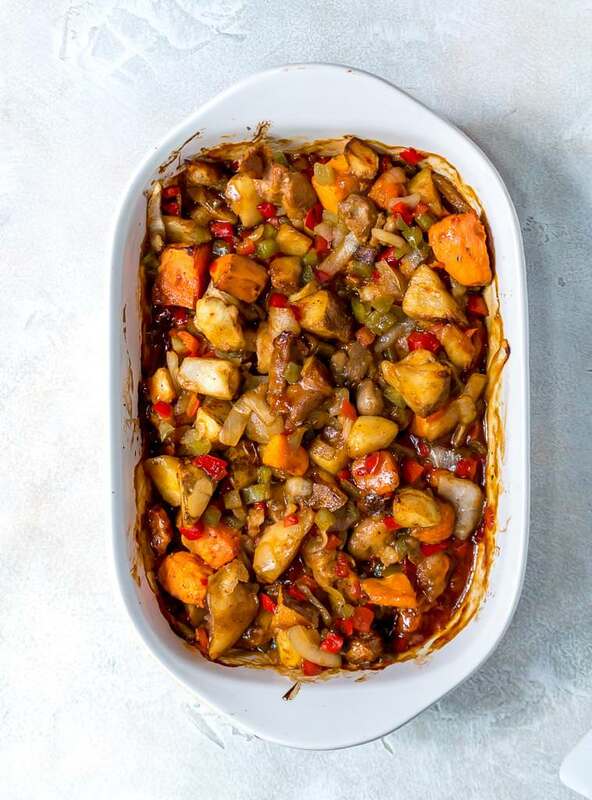 This meal consists of chicken, russet & sweet potatoes, bell peppers and onions. Perfect if you are limiting pasta and breads, like me. Find Tyson Dinner Kits at Target in the freezer section. There is this Sweet Chipotle Chicken & Vegetable Hash, Four Cheese Chicken & Broccoli Pasta and Tomato Herb Chicken & Vegetable Pasta. I love picking up Tyson Frozen Dinner kits and other food essentials at Target because I’m in and out quicker than if I go to a grocery store. If I don’t get distracted by the seasonal section, of course. 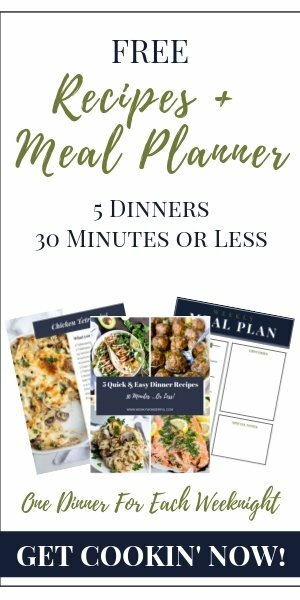 This dinner comes together quick and easy. Just bake the chicken, potatoes and sauce. Add the onions and peppers, bake a little longer. That’s it . . . done. No need for anything else. I added a little fresh parsley but that isn’t necessary. 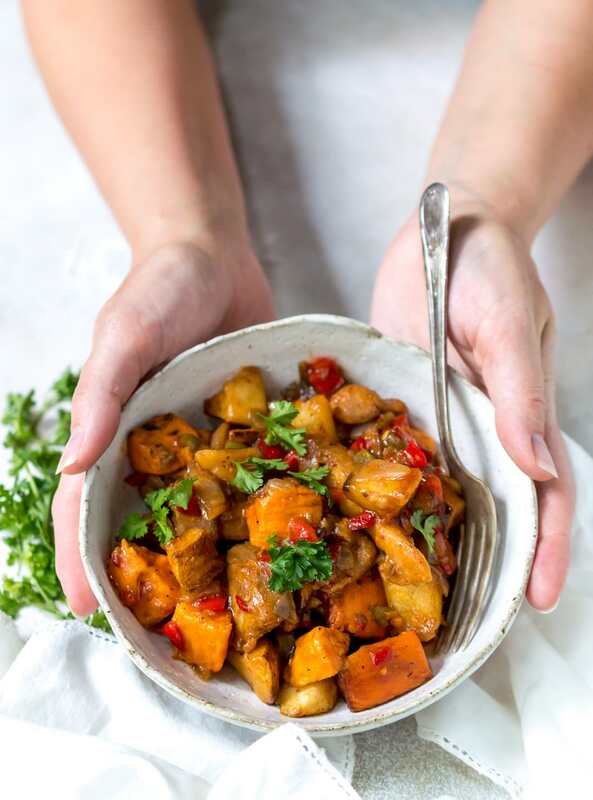 Serve with warm rolls for a quick family meal that will satisfy everyone. Now all you need is to enjoy the conversation. Funny stories about everyones day. What happened at school or work. Then it’s time to decide who does the dishes. 1 . . . 2 . . . 3 . . . Not It! Luckily, the other great thing about Tyson Frozen Dinner Kits is that there aren’t a ton of dishes to wash afterward. That means even more time with the family. This meal can also be prepared on the stovetop making it even quicker. In fact, the Tyson Frozen Dinner Kits are so easy that I have my eight year old daughter help me make it. She gets to layer the ingredients and I handle the oven. Kids love to be a part of meal preparation. And, they tend to eat more when they helped to make it. 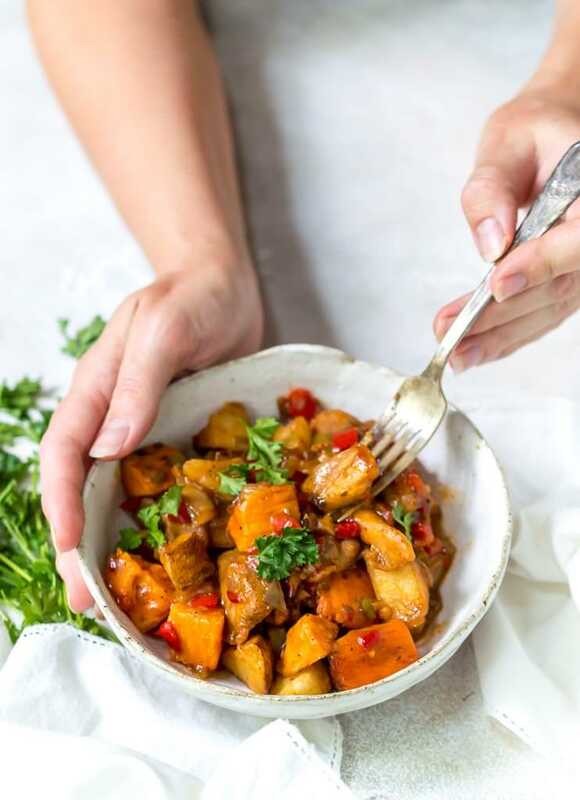 This Sweet Chipotle Chicken & Vegetable Hash is not spicy, so the kids and adults will enjoy it equally. Next time life has got you spinning – there are work deadlines, appointments, shopping lists, errands, soccer practice, PTA meetings, the phone is ringing, dogs are barking and the kids are harassing you for dinner. Breathe. 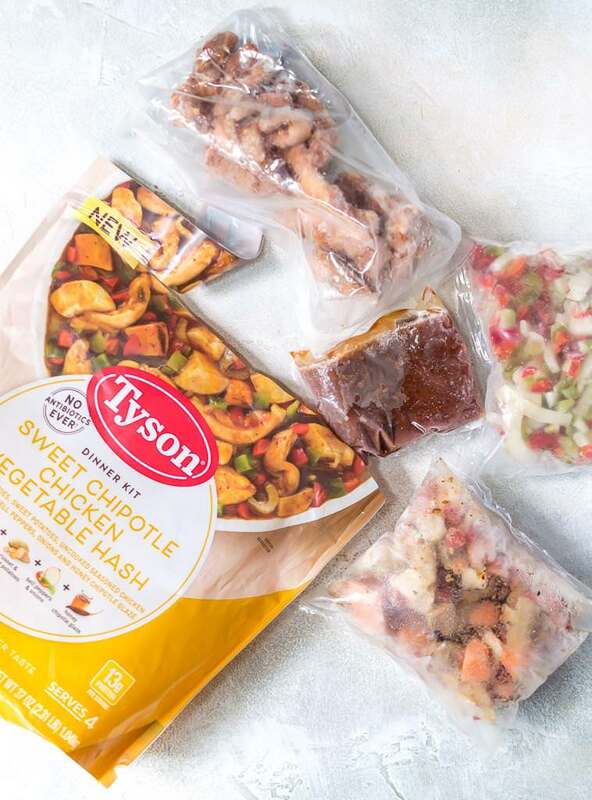 Let Tyson Frozen Dinner Kits handle the heavy lifting for you. Take a few minutes for yourself then sit down to a fresh out of the oven dinner. You did good.